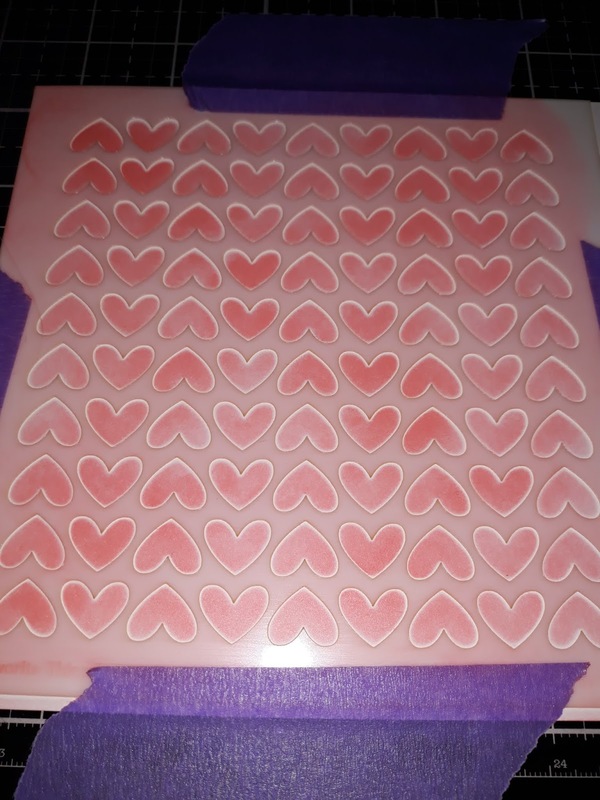 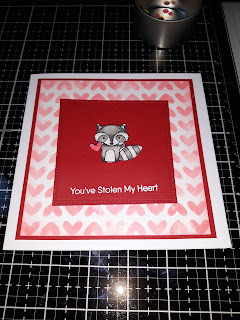 I am kicking off my Valentines 2019 collection today. 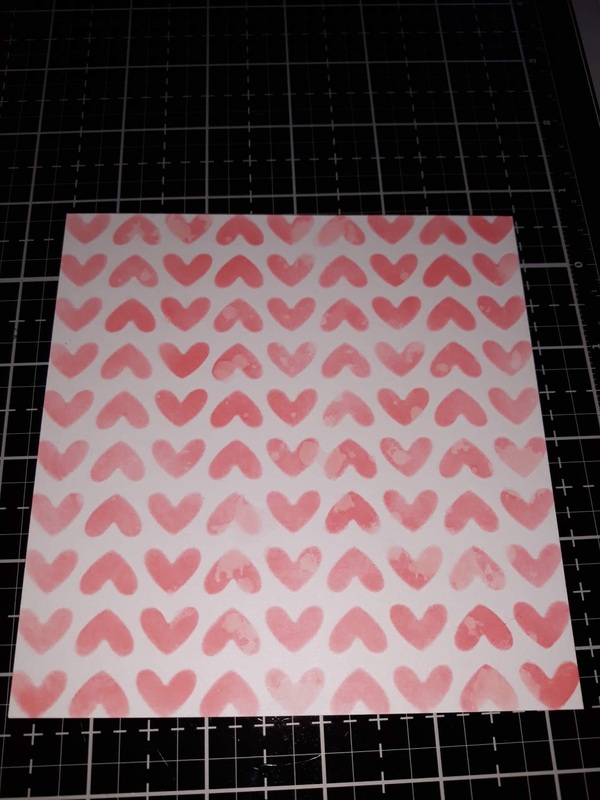 Nuvo drops in Gloss White, Ebony Black, and Red Berry. 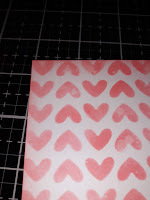 Then splash with a little water and use kitchen towel to remove some of the ink. 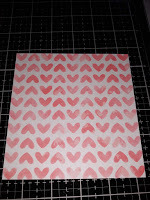 Then cut to 5" x 5" and Mat on to red card stock. Then mat on to a 6" x 6" card blank. 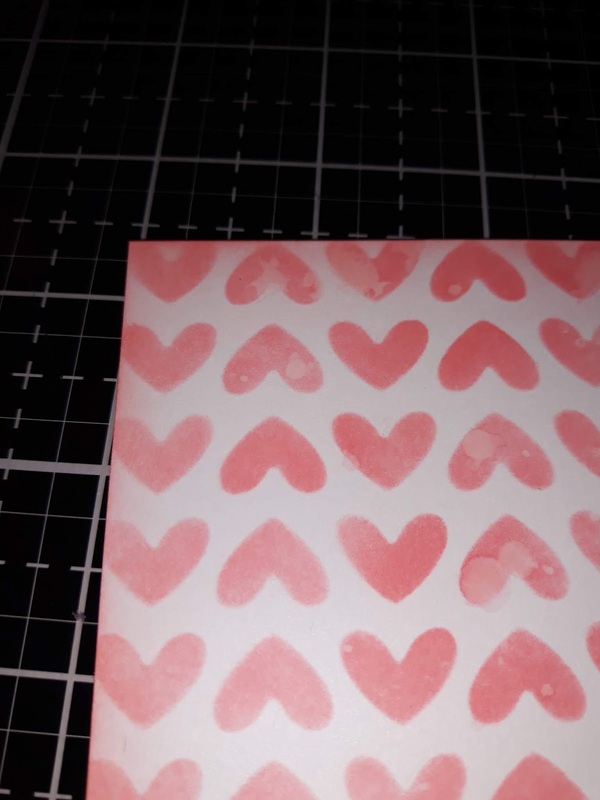 Now stamp and colour your image and die cut it or fussy cut it out. 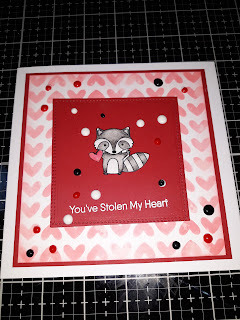 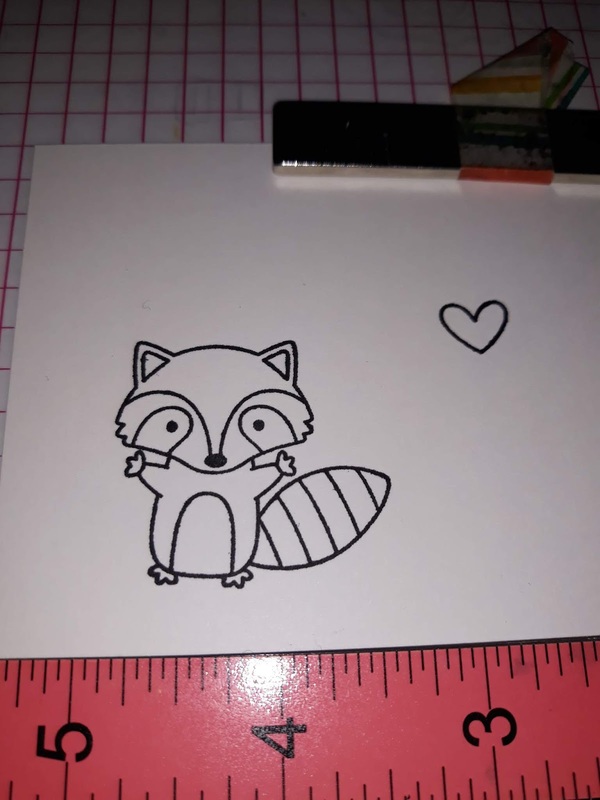 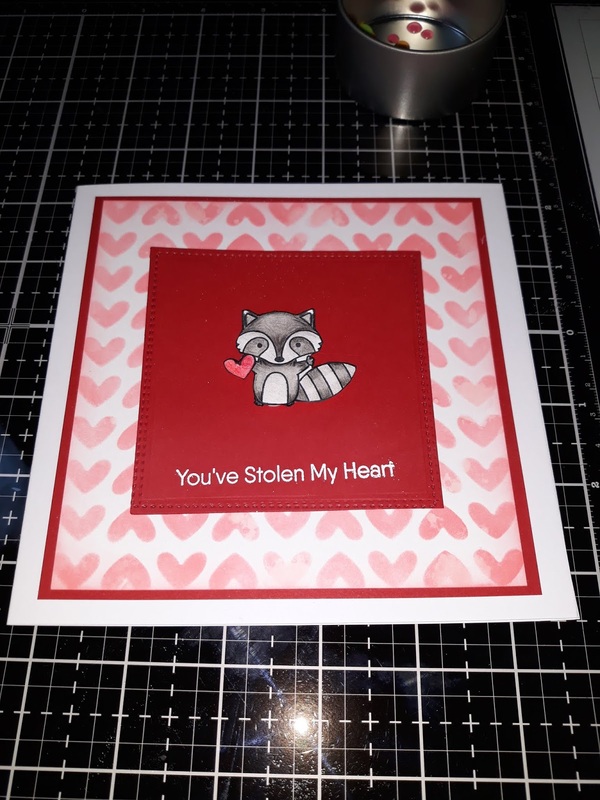 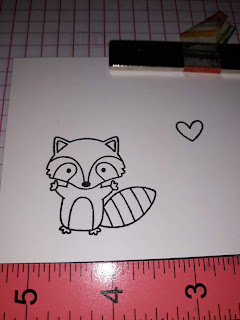 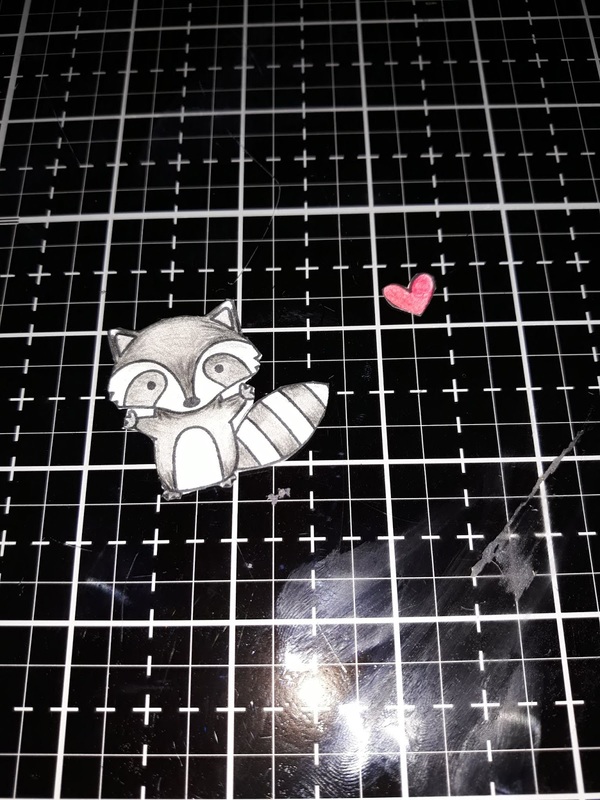 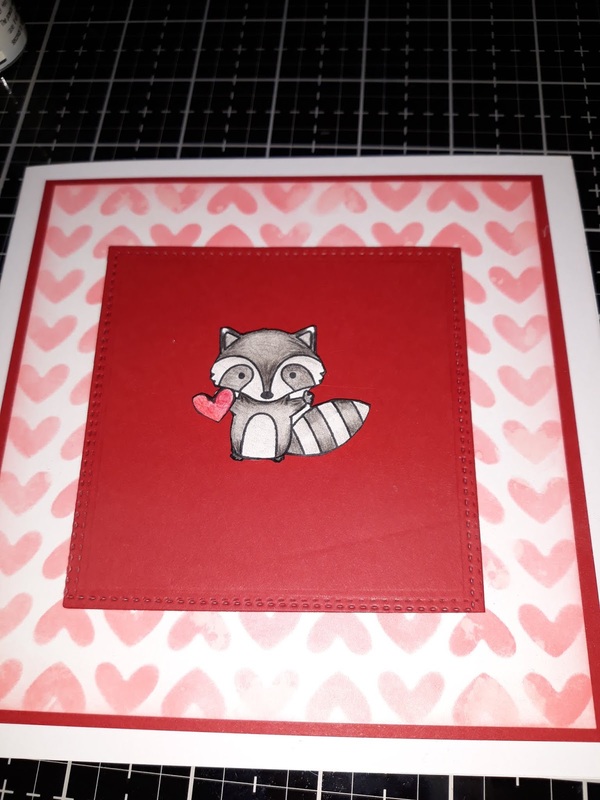 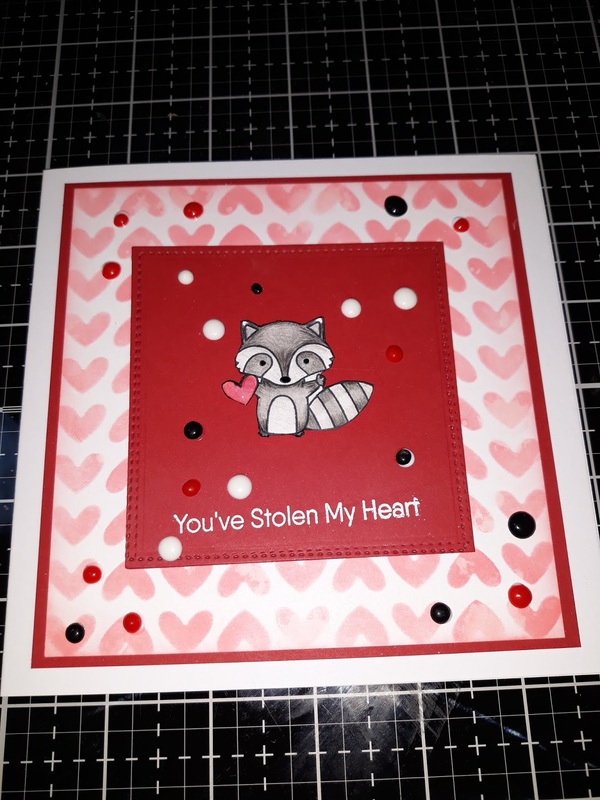 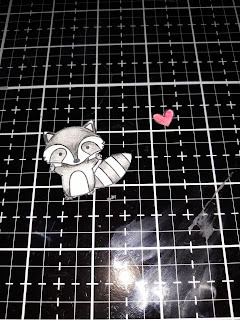 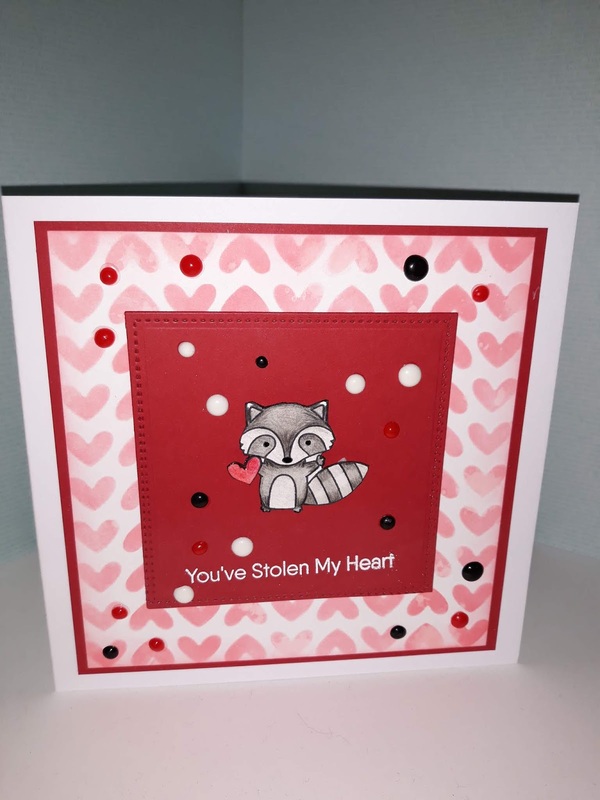 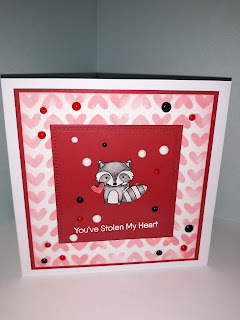 Add a red mat on to your card 4" x 4"
and place the raccoon image on top using foam tape. 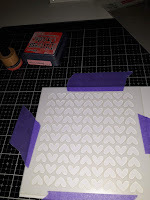 Stamp and emboss your greeting, in detail white embossing powder. 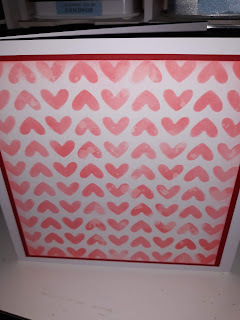 Then embellish with your Nuvo drops. I make mine prior to crafting on a non stick sheet. 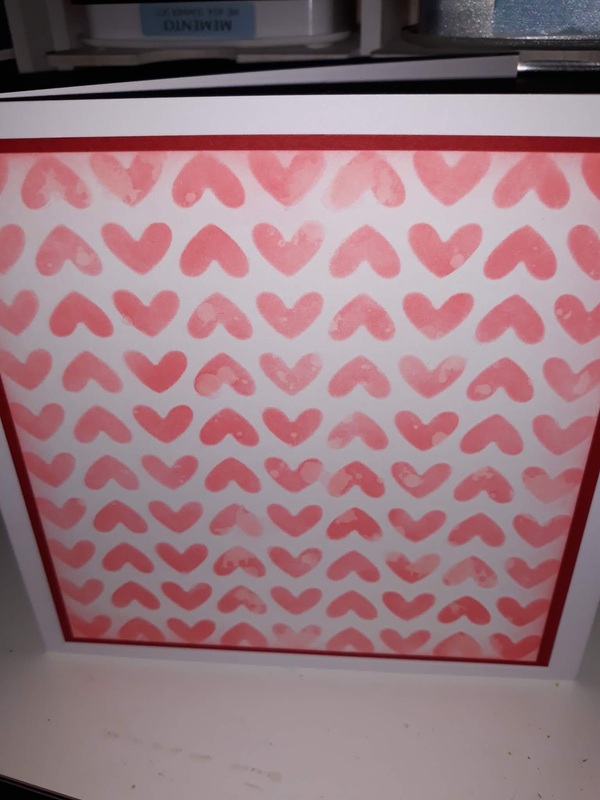 A quick and easy card for someone special, with many different images, and sentiments these will be used again and again. Next weeks blog is another idea using the incredible release from Lawn Fawn 's LETS TOAST.